ShopDock is a responsive ecommerce WordPress theme based on WooCommerce plugin. 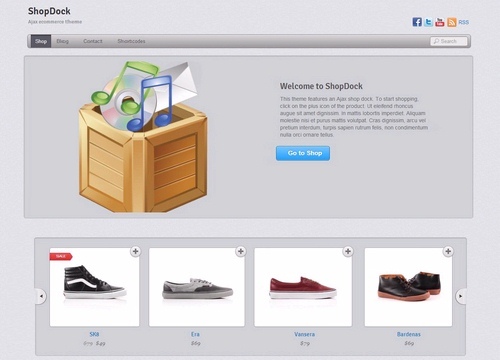 ShopDock is the perfect theme for selling general products such as apparels, games, digital goods, etc. 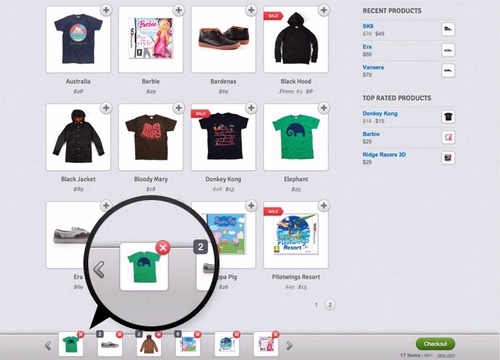 Buyer can easily add or remove items to the cart with a single mouse click. No more "back to shop" or page reload every time an item is added. The items are added to the shop dock instantly and the cart total is updated automatically. Other features include a customizable featured product slider, various list and grid layout options, 7 color schemes, custom post slider with several layout options, theme options panel and more. Pinboard theme is packed with number of custom built widgets like Banners & Links, Twitter, Recent Comments, Flickr, List Pages, List Categories and Feature Posts. Planning to buy ShopDock theme from Themify. Buy with Confidence. This page provides you with all possible Buying options. Usually Buying options or Pricing page of any theme designer is designed for conversions (to attract users and convince them to buy). Our Buying options page is not like that. We provide all the information about each Buying option. No hidden text or terms. We tried to cover everything that you should know before buying this theme.